Read Mark 11. Perfectionism is a thief. It steals into your heart, and robs you of your joy. It tells you that nothing you do will ever measure up. It preaches a gospel of self-reliance and self-control, and the moment that these twin towers of self begin to topple, perfectionism remains to mock you for your failure. The same pretensions that mock you, make you try to raise yourself up, despite your weakened state, which, in turns, dooms you to failing even faster the next time. You begin to doubt and hate yourself, which makes you touchy. The moment anyone criticizes the smallest thing about you, you snap at them, snarling, like a cornered wolf, and they back away, sometimes forever, leaving you alone in your small, miserable, little world, which only gets smaller by the second, as you go round in the same, downward spiraling circle, until your circles small to the point of strangling you and you give up completely, or kill yourself trying. How do you cure the curse of perfectionism? If you are a true perfectionist, you will try to cure perfectionism perfectly. This approach is doomed. Jesus offers another way. His way involves cursing perfectionism and exposing it for the thief it is. Jesus’ way requires a certain violence. It involves knocking over the tables upon which perfectionism stands, as Christ does to those buying and selling animals for sacrifice here in Mark 11. It involves destroying perfectionism from the roots up, just as Christ does to the fig tree. For like the fig tree, perfectionism is nothing but leaves. It bears no fruit. Even if you were that one in a trillion person who could actually obey all of God’s laws all the time, you would be nothing but leaves. Your heart would remain the same as the next person’s. The fruit would be absent. You would be empty. Perfectionism – also known as a “works based theology” – is at the heart of what Jesus came to destroy. Jesus’ life and death stand as a testimony to the truth that we cannot work our way to heaven. We cannot climb there ourselves. If we rely on ourself, we will fail. Those are not popular words. People would much rather be told that the Secret, to paraphrase a best-selling book, lies within your own heart. Self-reliance is the gospel that itching ears want to hear. Don’t trust anyone but yourself. Instead, Jesus asks that we have faith in God. He asks that we forgive other people, so that God can forgive our sins. He promises that, like the colt no one has ever ridden, if we give to God what He asks, God will return it to us broken in. He will give us back our hearts in a state that makes them usable. For the thing that needs breaking in is our hearts. The heart of man, the prophet Jeremiah points out, is desperately wicked and deceitful above all else. It is beyond cure. Jeremiah 17:9. That’s why perfectionism is doomed. We are not perfect. We never will be. We can’t get to heaven by being good. No one is good except God Himself. We cannot buy animal sacrifices sufficient to pay the price of our admission ticket to heaven. Jesus did the sacrifice for us. Jesus is God, so He alone is perfect. His death on the cross was the only sacrifice that could pay the price for our sins. Jesus’ sacrificial love transforms and changes us. Believing that we are sinners in need of the cross, frees us up to be people who can forgive others – because we recognize how in need of forgiveness we are ourselves. This is the new covenant that Jesus came to reveal. The old covenant is perfectionism. The old covenant is that we could earn our way to heaven by obeying the law. That way of thinking – a works based theology – lies at the heart of every other religion or ethics known to man except Christianity. Only Jesus offers a grace based theology; you can’t be perfect so stop trying. Kill that fig tree from the roots up. Knock over that table that won’t stand. Instead, if you accept that God paid the price for us to go to heaven, Jesus will fill you with His love. He will consume you with His joy. He will give you His peace. He will offer you His supernatural patience, kindness, goodness, faithfulness, gentleness, and self-control. That is the fruit of the Spirit. Galatians 5:22-23. That fruit comes from allowing God’s Spirit to rule our hearts. Those qualities do not live in the human heart. Have you ever tried to MAKE yourself be patient? It only makes you more impatient, doesn’t it? It’s like trying to make yourself perfect. It back-fires. But we will go on trying. Like the religious leaders in this chapter, every day we will find ourselves questioning Christ’s authority. Who are you to tell us what to do? We’re fine all by ourselves, thank you very much. 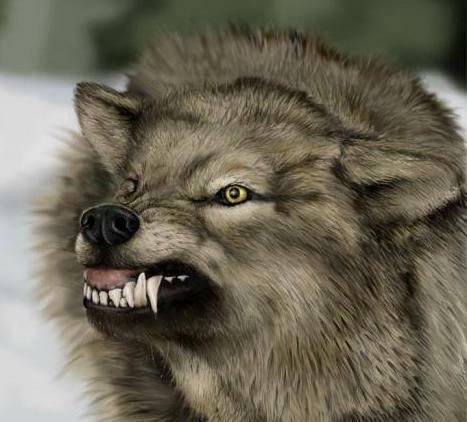 Like snarling wolves, our desire to be self-sufficient and to earn our way to heaven will rise up to bite us over and over again. But that’s okay. Because when we fail, when we batter ourselves bloody trying to scale an impossibly high wall, when we finally give up and admit we can’t ride that untamed colt, Jesus says – hand the reins to me. I will tame that colt. I will tame it with sacrificial love. Oh, we say. I never thought of that. And Jesus says: I know you didn’t. Sacrificial love is My way. Take my yoke upon you and learn from me, for I am gentle and humble in Spirit. My yoke is easy, and my burden light. And from the place of loss, desperation, despair, and humility to which our perfectionism has brought us, we say: “Okay, okay, fine. Go ahead.” We discover that the hands that lift us are so gentle, that we are filled with a supernatural Spirit whose fruit is the love, joy, peace, patience, kindness and self-control we always wanted but didn’t know how to get. Just give up your perfectionism. Leave it battered, bloody and wounded just as it wanted to leave you. Abandon that den of thieves. You’ll find more waiting for you than you could ever earn or imagine. You’ll find love. Caroline, thank you for all your inspired essays, so strong and filled with grace, but especially these last two…the previous one reminding us of the stark necessity of going up “those holy stairs opening in front of us” –on our knees, everywhere, not just “when in Rome” . But having to abandon even our tidy list of self-improvement prayers and meditations–and just surrendering, offering up our broken and imperfect lives, asking for mercy. It was the perfect precursor your essay today, on flinging aside the grubby moneychanger’s table of perfectionism: brilliant! For in this instance, we are both the money-changer in the temple, and the hapless pilgrim buying dead animals or other chattel to lay at the altar of Being Perfect. That is, trying to buy God’s approval, God’s acceptance, forgiveness, protection, blessing…whatever we imagine we think we can bargain our way into, to save ourselves from despair. When all we really have to do– what we MUST do–is simply offer up our broken hearts to God’s love. You have so truly found your “own” voice–i.e., with humility and surrender to God’s will and guidance, you allow the Voice of grace to speak through you.